This stuff passed through the gut of a cat, then got pooed out. Chewy, thumb-sized caterpillars for your delectation. Would you eat a scorpion frozen in vodka? 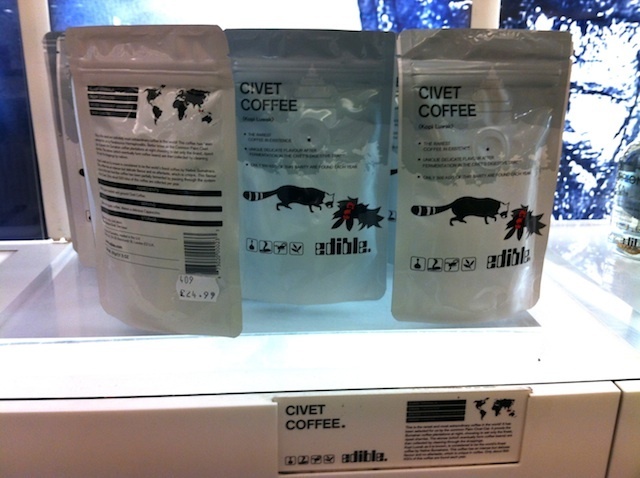 How about coffee that's passed through the intestines of a civet cat and costs £24.99 for a tiny sachet? 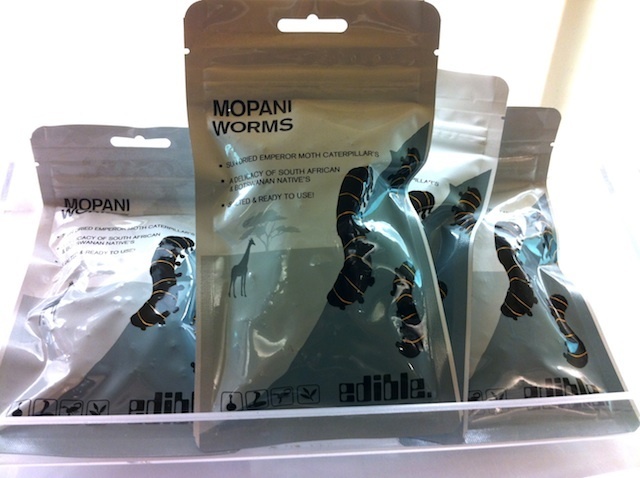 Perhaps a sun-dried moth caterpillar sounds more palatable? Salted and ready for use. 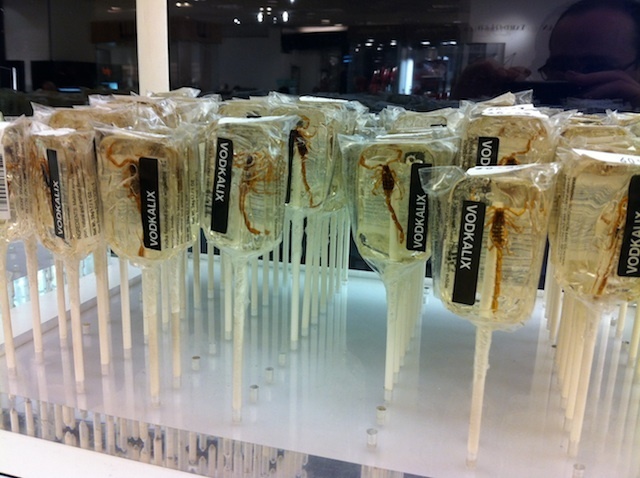 These and other treats for the entomophage in your life can all be procured from Selfridges. Indeed, they've been available for years, but we only just stumbled across them with a camera to hand. Insects are often touted as a more sustainable protein source than meats. They're enjoyed by much of the world's population, if still a novelty to most people in the UK. If you're looking for an easy way in, the chocolate-coated ants are perhaps the least off-putting (and cheapest) option. Any other recommendations?